Whether you are looking for the perfect honeymoon destination or somewhere blissful where you and your loved ones can relax and unwind for a fortnight, the Caribbean islands have everything you need. 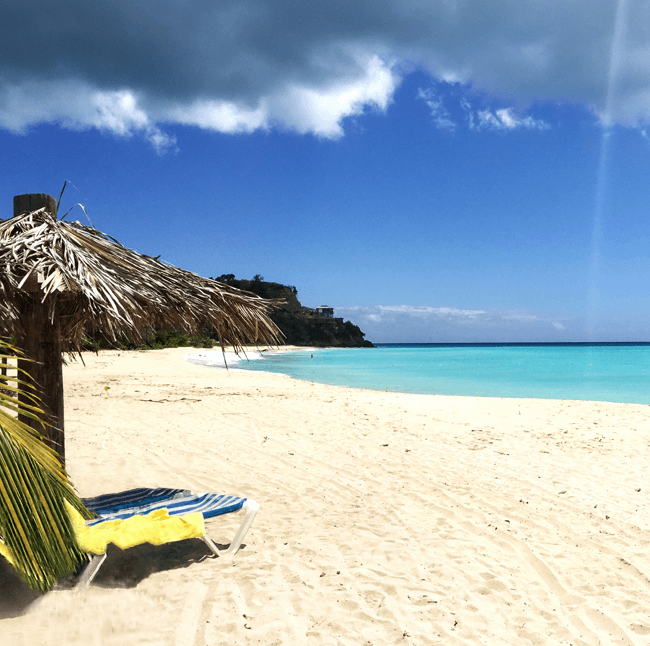 Sun lovers can try a different beach every day of the year (there are 365 to choose from in Antigua alone!) and the region is famed for its crystal clear turquoise waters, but there is so much more to the Caribbean than just the beautiful coastline. With consistently warm temperatures year-round, the steady climate ensures that whenever you visit you’ll be surrounded by stunning, sun-soaked scenery and can’t help but relax into the famous laid-back Caribbean lifestyle. 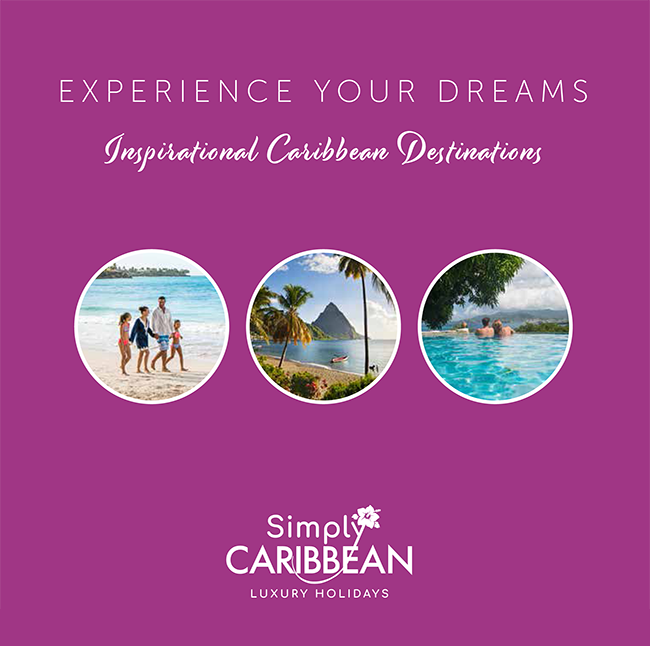 Because we specialise in luxury Caribbean holidays, we have an unrivalled knowledge of and passion for the region. As an independent travel specialist, we provide a fully flexible service that is designed to meet your individual needs; we take time to get to know you and understand exactly the kind of holiday you want, and we’ll go out of our way to make it a reality. We promise that you will have the time of your life when you book a break through us, so it’s no surprise that our clients come back to us year after year. It is the extra touches that turn a good vacation into a great one and attention to detail is our speciality. We pride ourselves on our personal service and can recommend many ways to ensure that your luxury Caribbean holiday is one that you’ll never forget. We can offer a wide range of accommodation options from luxurious villas with spectacular views to boutique hotels that ooze charm and sophistication. Because we have visited each one personally and have long-standing relationships with the owners and managers, you can trust us to find the right one for you. Our aim is to provide you with the very best service at the most competitive prices and you may be surprised at how far your budget will go. Are you keen to explore the wonders of the natural world? Take a whale watching trip to see these majestic creatures at close quarters or enjoy a captivating nighttime turtle watch on Nevis. Adventure into the deep with a diving or snorkelling experience in the clear, warm waters which are teeming with sea life, or head underground to dramatic caves in Indian Town. Stunning gardens and tropical bird life, not to mention the jaw-dropping Piton mountains in St Lucia, are a feast for the senses and remind us that in the Caribbean the world really is your oyster. For the culture vulture there is plenty of history to uncover on the islands, from historic sugar mills, cathedrals and dockyards to plantation tours, forts and museums. We can recommend a wide range of excursions, private tours and other experiences which will bring to life the fascinating past of the region. For the sports enthusiast the list of options is endless. From hiking and biking to golf, tennis and horse riding – not to mention the myriad of watersports – you could try a different activity every day and still have more to discover! Tell us about your sporting loves and we can do the rest, from equipment hire to expert tuition. 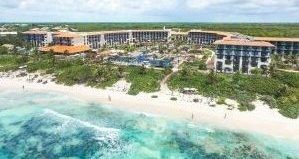 But don’t forget, the key to enjoying yourself in the Caribbean is adjusting to the relaxed pace of island life so make sure you build in plenty of recovery time and enjoy a spa treatment or two to unwind. Couples who dream of a Caribbean wedding and would like to get married on the islands can book one of our luxury wedding packages. We have many years’ experience putting together idyllic wedding experiences so let us take the strain when it comes to organising your Big Day.